The beneficiaries of The Giving Circle are social purpose organisations working toward solving a variety of social challenges. The Giving Circle has an interest in supporting local organisations and projects in Ireland, however, the Giving Circle also supports organisations worldwide. Ideally a representative from the organisation is based locally so they can present in person to The Giving Circle. Each funding cycle, members of The Giving Circle select key focus areas such as alleviating poverty, supporting women and girls, and advancing education for disadvantaged populations. Ruhama is a Dublin-based NGO which works on a national level with women affected by prostitution and other forms of commercial sexual exploitation. Their services are comprehensive to meet the broad range of experiences of women affected by prostitution. The Early Learning Initiative (ELI) at the National College of Ireland (NCI) was developed to address the problem of educational underachievement in marginalised communities. The grant from The Giving Circle will be used to support its Parent Child Home Programme and expand its reach into inner city Dublin for children ages 1-3 and their parents. 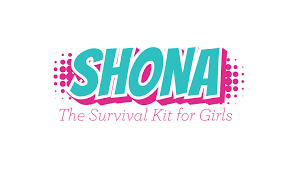 The Shona project’s mission is to inspire and empower Irish girls to aim high and give them the tools and information they need to do so. Working with girls around Ireland, they promote positive mental health and help young women to find their place and identity. Money from The Giving Circle would be invested in the Shona Project’s online teaching portal. The goal of Wicklow Homeless Five Loaves and Ark housing is based on a simple premise, that every person has the right to a home. They aim to provide residents with the supports necessary to enhance the quality of their lives in a spirit of person centeredness and compassion. St Francis Street CBS is a primary school for boys from 2nd to 6th class, located on John Dillon street in the center of Dublin. Grant money from the giving circle went towards funding the library. Our table aims to create nurturing and empathic spaces where people can gain skills, be paid a wage and can gain knowledge of the Irish food industry. It is a non-denominational organisation that aims to build awareness of food in multicultural Ireland and to highlight that the current system of Direct Provision is deeply flawed. Safe Haven is a non for profit initiative that empowers young people, including members of the migrant community, and fosters integration in Ireland. They provide sail training opportunities to young people to realize their vision of an Ireland with a strong, integrated communities where all of its young people feel empowered. The grant from The Giving Circle would be used to contribute to the cost needed to hire their first employee. Soar’s mission is to create early intervention programs and environments that enhance teenagers wellbeing to release and cultivate their potential. It provides preventative, wellness workshops to young people from all backgrounds. Funding from The Giving Circle goes towards recruiting and training more young adults to work with teenagers in their programmes. MyMind’s aim is to pioneer a new and sustainable model of community and online mental health services that are accessible and affordable to everyone. Based around the country, MyMind offers low cost, high quality service available in a number of languages. Backing from The Giving Circle allows MyMind to expand its services and renovate its wellbeing centres in Dublin and Cork.